Beunos Aires: Argentine superstar Lionel Messi scripted headlines for reasons other than his football skills, this time with his hairdo. The footballer apparently grew tired of his look and decided to dye his hair platinum blonde on July 24, reports Xinhua. 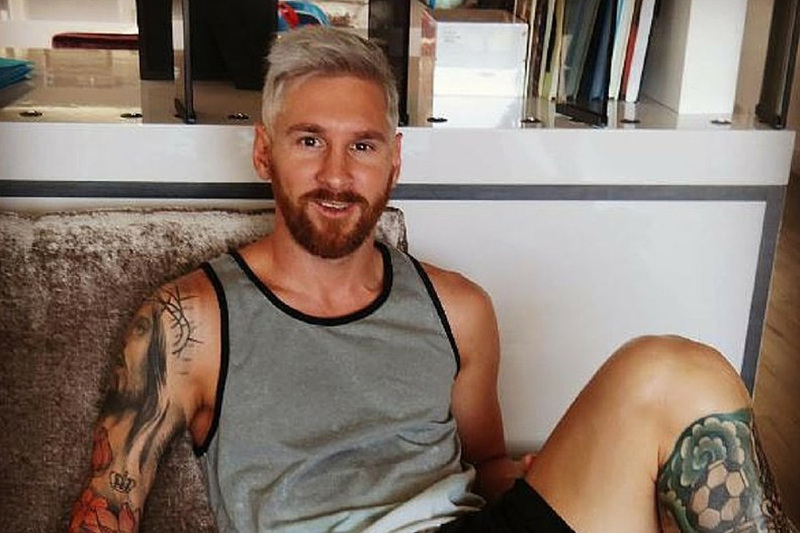 His wife Antonella Roccuzzo then posted a picture of the new Messi on Instagram, with the caption “change of look #blondeboy”, and the Twitterverse went berserk. Not so loyal fan Phanatic wrote “he deserves jail after this,” referring to the player’s legal troubles for tax evasion. A court recently handed the player a suspended 21-month sentence, but after seeing his new hair style maybe the judges will rethink their leniency, at least that’s what Phanatic is suggesting. However, being investigated and accused of evading taxes isn’t the worst thing to happen to the 29-year-old in recent months. Argentina’s national team lost the Copa America Centenario final to Chile, after Messi missed a penalty kick in overtime. As penance, he announced he was quitting the national team, but an outpouring of support from fans seems to have changed his mind.